I'm not a big JDM guy, but I know a cool looking car when I see one. This is a cool looking car. The Sera is a cousin to the Toyota Paseo and shares a lot of its running gear and suspension. While the Paseo was a pleasant enough coupe, its styling was somewhat forgettable. The Sera has style in spades. The first thing you'll notice, of course, are the doors. 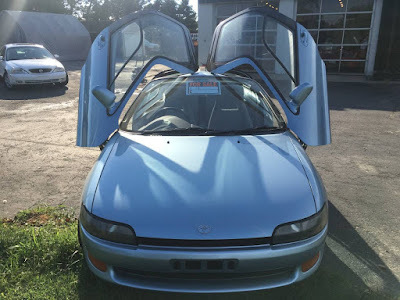 Besides being butterfly doors, they have glass that goes right into the roof. The have a window-in-window style similar to the Subaru SVX or the Delorean. They just look cool. The rest of the body is smooth and rounded with a full glass rear hatch. Nothing flashy, nothing outrageous. It's simple and still looks very, very good today. 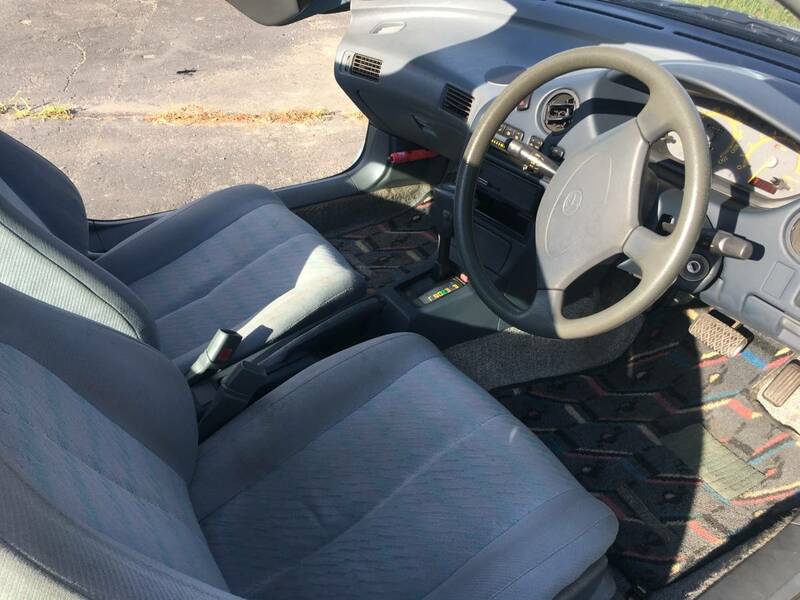 The interior is the only real letdown on this car. It's well laid out, but it's cheap looking. That was typical of Japanese cars from this era. The Sera was only sold in Japan. Around 16,000 were produced. It was built from 1990 to 1996. 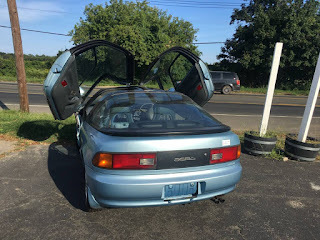 Early ones have now passed the magic 25 year mark and are perfectly legal to import and own in the U.S. This Sera is already in the U.S. and is reasonably priced at $6900.00. 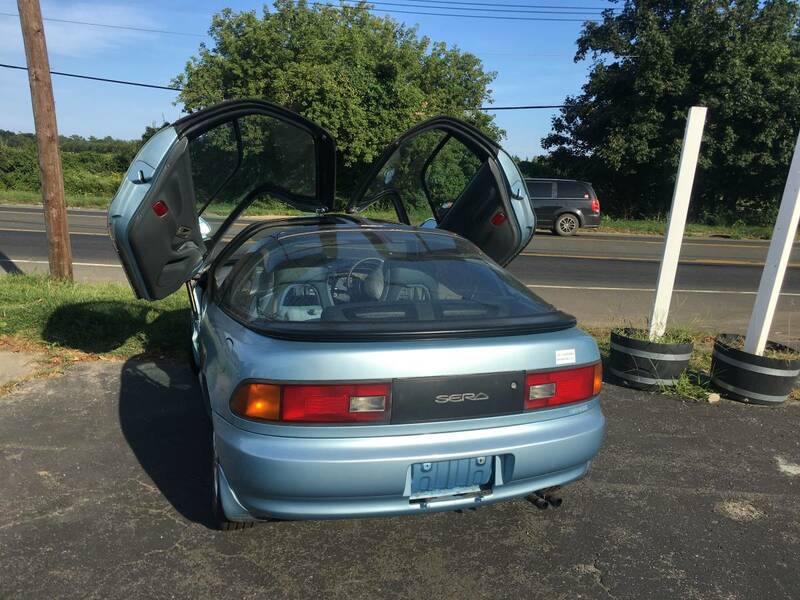 If you're looking for a sub $10K car that is rare, unusual, exotic looking and is as reliable as a Toyota, the Sera might be for you. 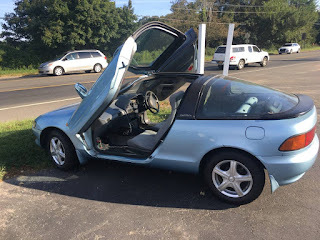 Located in Hampton Bays, NY, click here to see the Craigslist ad.